Ever find yourself off track with your goals and not where you want to be in life? I’ve been there more times than I care to remember. But recently, I started working with a business coach and had a long topic on the conversation. He said the reason I keep getting off track is that I’m acting on my mood. If I don’t feel like writing, working out, or doing client outreach, then I don’t do it. And that might be why you are constantly falling off track as well.. The key is to forget about how you feel and do it anyway. You may be lacking self-discipline, which can be improved – if you are determined to make it happen. It’s time to be brutally honest with yourself and admit what’s going on. You can have a conversation with someone you trust or even write down in a journal – honestly & openly, where you currently at in life, what your doing wrong & where you want to be. Admit there’s a problem and your brain will start working autonomously to find a solution. If you ignore the problem, it won’t magically get better. In fact, this enforces quitting and will make it worse. Say what you’re really feeling and then ask yourself.. Why are you feeling this way? Ask yourself what will happen if you don’t get back on track.. Where will you be in 3 months, 6 months or a year if you don’t change? Identify your reasons, open yourself up and develop a plan to adapt and overcome. Sometimes sitting around thinking is the worst thing you can do. Overthinking drains your energy making the problem feel overwhelming, and is the best way to hold yourself back from taking action. Instead, take consistent small action. Every great journey began with a single step. Action cures perfectionism. It helps you create momentum to keep the ball rolling. Let’s say you’re trying to get into the habit of working out but you’ve ditched the resolution and haven’t seen the inside of a gym in a while. To reignite your fire, keep it simple and start by doing some push ups or bodyweight lunges at home. Celebrate this small victory. Pat yourself on the back, get excited, and jump around. Change your physiology to change your mindset. Small victories lead to bigger results. Your brain loves celebration as the feel good chemical dopamine is release, thus ‘training’ your brain to seek more results. Now think, what other kinds of victories can you get? Start doing anything you’ve been putting off in small doses and then celebrate! Victories, no matter how big or small, can change your mood and help you keep going. Creating a new habit in the process. Sometimes you just need someone else to support you on your quest, whether it’s to lose weight, start a business or change the world. Accountability can be a great way to help you stay disciplined. Don’t be too proud to enroll in a program or hire a coach to help you stay consistent and maintain productivity. 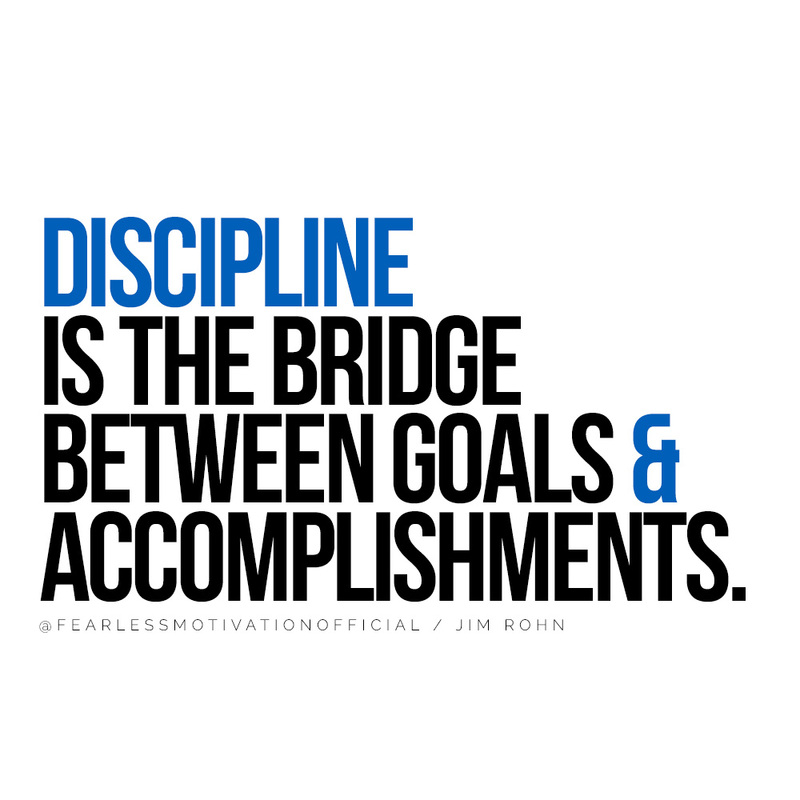 Over time, discipline does become an automatic habit even when you normally you might of put it off. Don’t let your lazy brain and feelings get in the way of creating the life of your dreams. Forget what you feel, remember what you deserve.